HyperMac has updated it portable battery range to now offer support for Apple’s new iPad, giving you some extra juice for your iPad when you need it. The HyperMac batteries will give your iPad between thirty four hours of extra usage and ninety eight hours of extra usage depending on which model you go for. 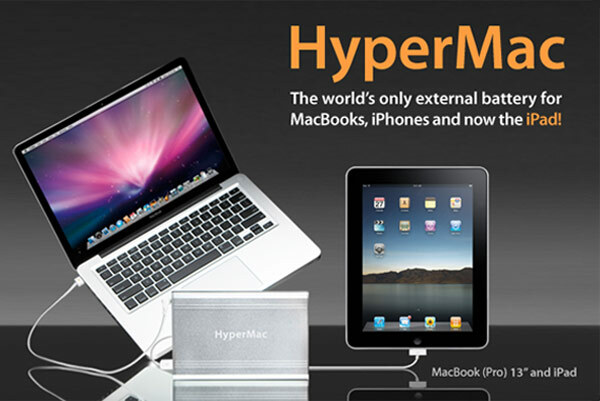 All the batteries will also work with your MacBook and also the iPhone, prices start at $169 up to $469 for the top model which will give you up to ninety eight extra hours on the iPad, they are available now from HyperMac.